Our upgraded wide bore GE Optima MR 450w 1.5 T system with GEM Suite Technology is here! 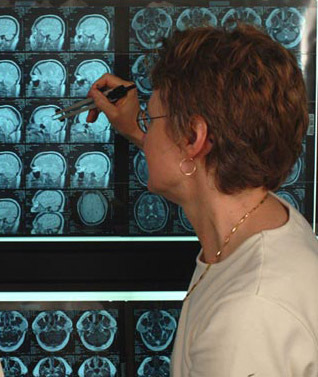 Dr. Susan Connors reads MRI scans. 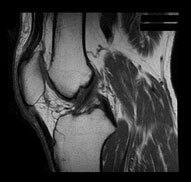 MRI of the knee shows the tendons, cartilage, muscles, and fat tissue. 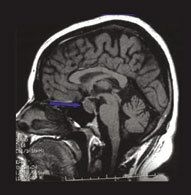 MRI is “magnetic resonance imaging.” MRI uses a powerful magnet, radio waves, and a computer to produce cross-sectional images and can be used to image almost any part of the body. No X-rays or other ionizing radiation are used. 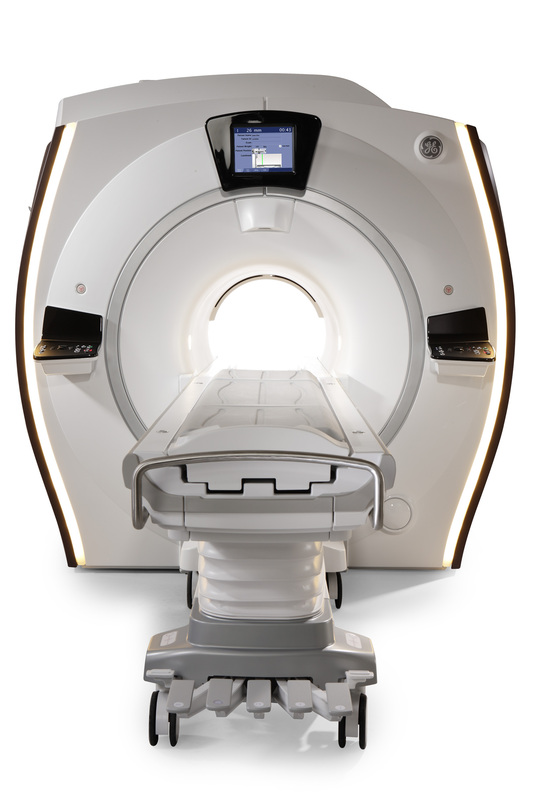 The new wide bore MRI has a powerful magnetic field strength that is the one most preferred by physicians. It also makes scanning sessions faster. 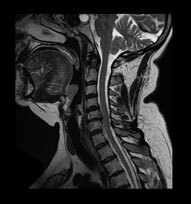 This wide MRI enables us to scan more anatomy in less time compared to previous generation systems, resulting in an improved scanning experience. Wide bore refers to the shape of the opening that the patient lies in; the bore is not only wider but also shorter in length. 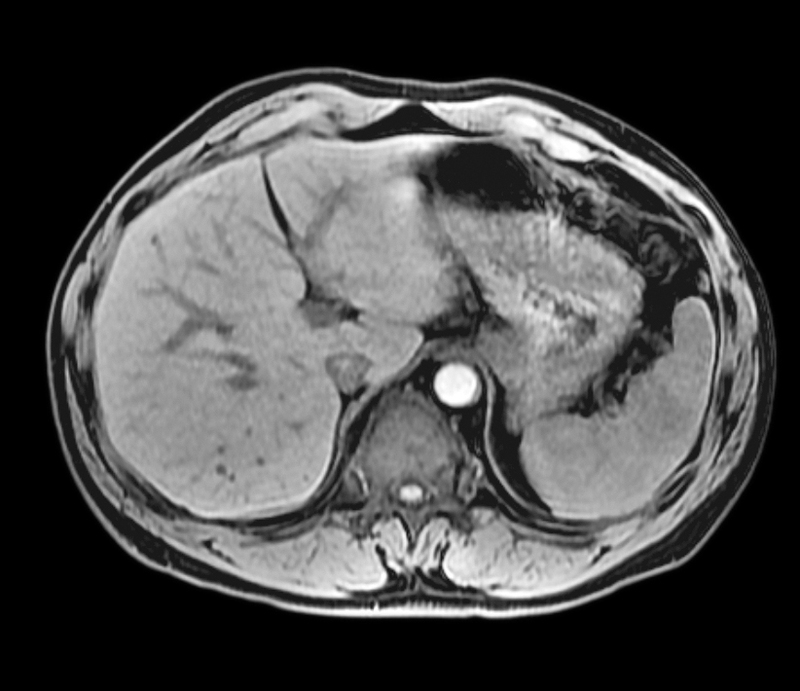 Traditionally, wide bore scanners had limitations and poorer image quality. Our new wide bore MRI system improves image quality while allowing more room around the patient, providing more comfort during the examination. The newly installed and upgraded GE Optima 450 with GEM suite coil technology is designed to reduce scan times, reduce metal artifact around implants, decrease noise decibels, and correct image blurring due to motion, thus reducing the chance of recalls while delivering uncompromised imaging quality. 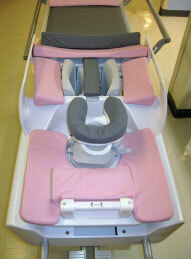 The system also features a softer table to help maximize patient comfort and alleviate pressure points. The physics and mathematics of MRI are extremely complicated. A large magnet surrounding the body causes the hydrogen nuclei (protons) in water molecules to align in a particular direction, and then radio waves strike the protons, causing them to spin out of alignment. When the radio signal is turned off, the protons return to their previous alignment, giving off new radio waves at the same time. 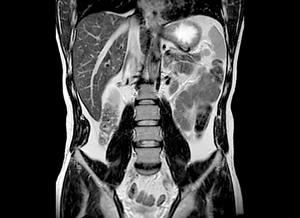 The returning radio signals are received and analyzed by a computer, which then creates cross-sectional images of the body. Musculoskeletal system: MRI is the most accurate way to non-invasively image most joints (knees, shoulders, wrists, etc) for problems involving cartilage, ligaments, tendons, and muscles. Breast: Both breasts are examined simultaneously in high resolution in a single patient visit. 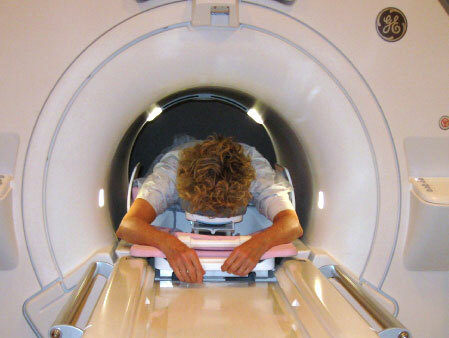 Other: MRI is useful for evaluating the neck, liver, kidneys, pelvic organs, blood vessels, and lymph nodes. Please also let us know if you weigh more than 450 lbs, or if there is any possibility that you may be pregnant.